The owners of the home are identified as Chad Elwartowski, a US national, and his Thai girlfriend, Supranee Thepdet (aka Nadia Summergirl). Both are on the run, with authorities preparing to press several charges against them. Group Captain Puchong Rodnikorn said yesterday that the floating home must be removed for the safety of ships, boats and fishing trawlers in the area. “It must also be brought ashore as evidence,” he said. According to him, three royal ships will be deployed for the operation to move the floating structure to the Phuket Deep Sea Port. Four villas at Dhevan Dara Resort and Spa in Hua Hin district of Prachuap Khiri Khan caught fire on Sunday. (Photo by Chaiwat Satyaem)PRACHUAP KHIRI KHAN: Fire engulfed four villas at a famous resort in Hua Hin district, but all staff members and guests are safe. The fire at Dhevan Dara Resort and Spa started at 11.40am on Sunday. 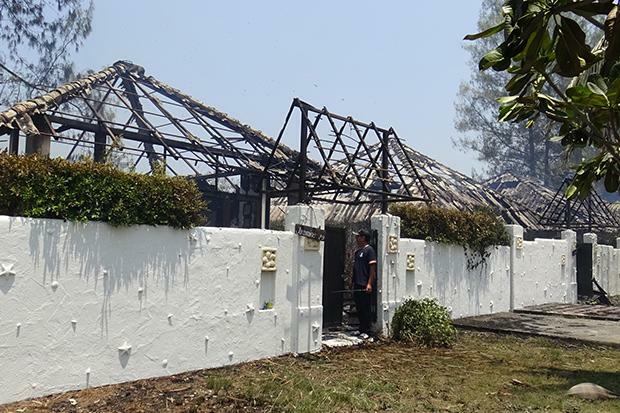 A guest villa close to the fence then caught fire, and the blaze spread to three other villas, according to hotel staff and the Phetkasem Hua Hin rescue volunteer unit. Pol Maj Varodom Bairuea, chief of the Tourist Police in Hua Hin, said all guests were safe. (AFP photo)COLOMBO, Sri Lanka: The latest on explosions in Sri Lanka on Easter Sunday (all times local). It's the worst bout of violence in Sri Lanka since the South Asian country's bloody civil war ended a decade ago. It's the worst bout of violence in Sri Lanka since the South Asian country's bloody civil war ended a decade ago. “Regardless of the motive, the attack in Sri Lanka is the same as the traitorous attack in Christchurch. ___10.10amWitnesses are reporting two explosions have hit two churches in Sri Lanka on Easter Sunday, causing casualties among worshippers. Pheu Thai secretary-general Phumthai Wechayachai (second left on the podium) leads the party's first general assembly in five years. 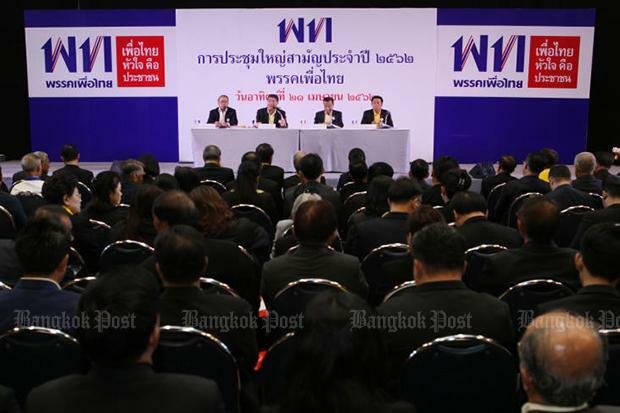 (Photo by Aphichit Jinakul)With the highest number of MPs in parliament under its command, the Pheu Thai Party has the legitimate right to form a government before the party in the second place, Pheu Thai secretary-general Phumtham Wechayachai said on Sunday. According to Mr Phumtham, the claim by a pro-military party that by coming first in the popular vote, it had a greater right than Pheu Thai to try to form a government was delusional. Asked to comment on reports that Pheu Thai was replacing its party leader and preparing to lead the opposition in parliament, Mr Phumtham said the party still insists it has the legitimate right to form a government. Mr Phumtham said he was confident an agreement ratified by the leaders of seven political parties, with Pheu Thai as the core, to prevent the junta from retaining power was still solid. 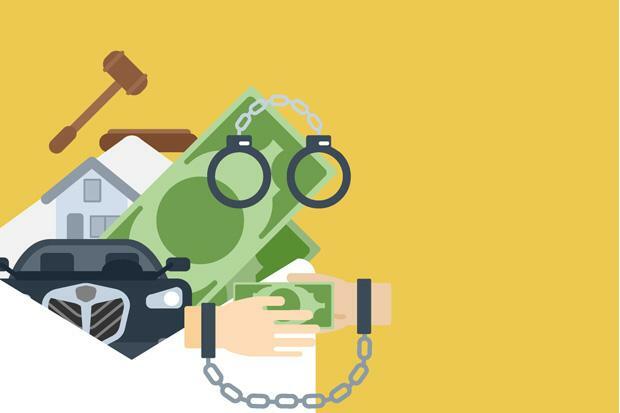 The following day, the Si Sa Ket Court convicted him and ordered him to pay a Bt6,000 fine. But Prompanya did not walk out of the Si Sa Ket Prison alive. According to prison officials, he went into a shock during detention and was rushed to the Si Sa Ket Hospital. Tewan said Prompanya’s body would not be cremated until justice was done. If our plea falls on a deaf ear, we will carry Prompanya’s body to the Provincial Si Sa Ket Hall, Tewan said. A diesel-powered passenger train (right) is seen at Aranyaprathet station in Sa Kaeo in preparation for the inaugural journey to Poipet, Cambodia on Monday. 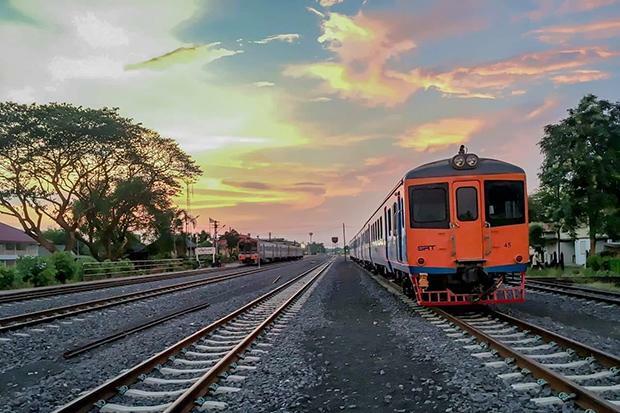 (Photo by Udomdet Kampat via @pr.railway Facebook account)Thailand looks set to re-establish a rail link with Cambodia 45 years after the two countries terminated cross-border train service. Thailand and Cambodia ended their last rail connection 45 years ago due to internal conflicts in the two neighbouring countries. Cambodia restored the 385- kilometre track from the capital to the border with Thailand, and resumed operations last year. Sa Kaeo governor Wichit Chartpaisit said on Wednesday the train line will boost border trade and transport between the two countries. - Police chief warning -AFP / Sébastien CASTERANBlasts hit Colombo, Negombo and BatticaloaThe nature of the blasts was not immediately clear and there were no immediate claims of responsibility. The NTJ is a radical Muslim group in Sri Lanka that was linked last year to the vandalisation of Buddhist statues. 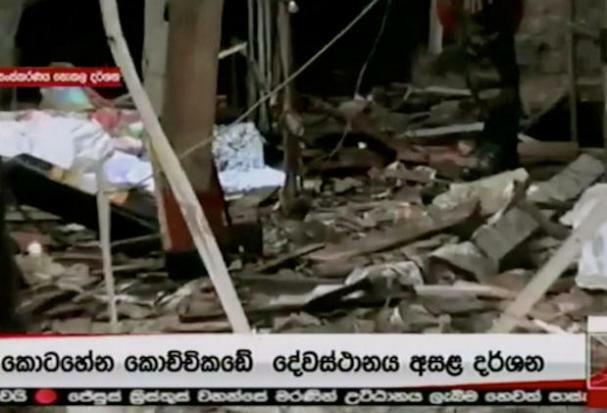 The first blast was reported at St Anthony's Shrine, a well-known Catholic church in the capital Colombo. Soon after, police confirmed that a third church in the town of Batticaloa had been hit, along with three high-end hotels in the capital. There have been no attacks in Sri Lanka linked to foreign Islamist groups, despite local media reports that a 37-year-old Sri Lankan was killed in Syria in 2016 while fighting for the Islamic State group. The Election Commission (EC) called for the poll rerun after inconsistencies were found at those polling stations in the March 24 general election. The number of ballots cast differed from that of eligible voters registered to vote at those polling stations. He was inspecting the voting at polling station number 32 in Bangkok’s Constituency 13, where new voting was called. In addition to the Bangkok polling station, vote reruns were also held at two polling stations in Lampang province, and one polling station each in Phitsanulok, Yasothon and Phetchabun provinces. The number of eligible voters at the polling stations involved ranged from a few hundred to less than 1,400. “One of the good things about YouTube is the way of communication is always open. Esther, in her third year as a YouTuber, also noted open communication as one of the best things about YouTube. Esther’s story is about how she started creating YouTube content as a way to spend more time with her father, who is now deeply involved in her work as a YouTuber. As with the content of Lee and Esther, the content of the video is something most children their age can relate to. I wish to keep communicating with the people through YouTube,” Lee said. Debris is seen at St Anthony's church after explosions hit churches and hotels in Colombo, Sri Lanka, on Sunday, in this still image obtained from video. 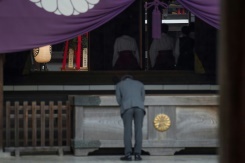 (Derana TV/via Reuters TV)COLOMBO: A string of blasts ripped through high-end hotels and churches holding Easter services in Sri Lanka on Sunday, killing at least 156 people, including 35 foreigners. The NTJ is a radical Muslim group in Sri Lanka that was linked last year to the vandalisation of Buddhist statues. Only around six percent of mainly Buddhist Sri Lanka is Catholic, but the religion is seen as a unifying force because it includes people from both the Tamil and majority Sinhalese ethnic groups. There have been no attacks in Sri Lanka linked to foreign Islamist groups, despite local media reports that a 37-year-old Sri Lankan was killed in Syria in 2016 while fighting for the Islamic State group. The summer storms, which quickly develop into tropical storm-cells, are prevalent at this time of the year, usually when cooler air from China starts to interact with the rising southwestern monsoon. 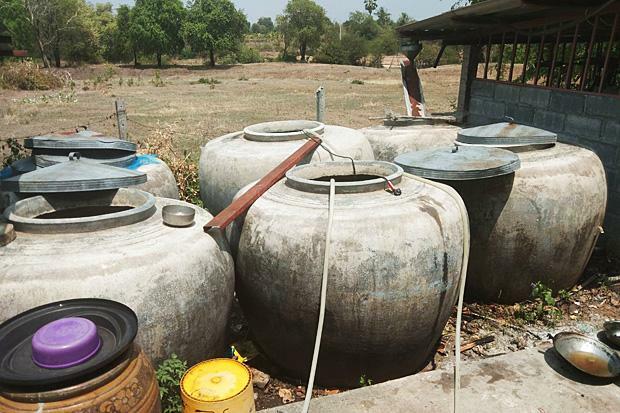 On Saturday, about 100 houses in three tambon in Khon Buri district in Nakhon Ratchasima province were partly damaged after being hit by a summer storm on Saturday afternoon, an official said on Sunday. Somchart Dejdon, the major of Tambon Khon Buri Tai Municipality, said about 40 houses in tambon Khon Buri Tai were hit by the storm, but the damage was not serious. Two houses in tambon Orapim and 40 houses in tambon Chorakhehinin were also damaged by the storm. Khon Buri district chief Wichit Kijwirat instructed local leaders to examine the damage and report to him so that a relief operation could be launched soon. The official, who spoke on condition of anonymity, said at least 45 people had been killed in Colombo, where three hotels and a church were hit. The first explosions were reported at St Anthony's Shrine -- a church in Colombo -- and St Sebastian's Church in the town of Negombo just outside the capital. Dozens of people injured in the St Anthony's blast flooded into the Colombo National Hospital by mid-morning, an official told AFP. Shortly after those blasts were reported, police confirmed three hotels in the capital had also been hit, along with a church in Batticaloa. He said he had been to two of the attacked hotels and was at the scene at St Anthony's Shrine, and described "horrible scenes." 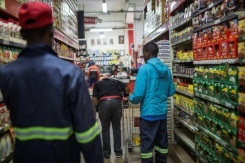 HARARE - The price of bread almost doubled for Zimbabweans last week, as the inflation nightmare that marked the rule of long-time authoritarian leader Robert Mugabe returns to haunt his successor Emmerson Mnangagwa. Mnangagwa pledged to revive his country's moribund economy when Mugabe was toppled in 2017 after 37 years in power. The disparity between the official and parallel market exchange rates has been rapidly widening, triggering price hikes of up to 300 percent. Confederation of Zimbabwe Industries leader Sifelani Jabangwe said the government needs to channel scarce foreign currency to shore up distressed manufacturers. Public anger over the economy contributed to the military intervention in November 2017 that finally brought down Mugabe, then 93. A police official, speaking on condition of anonymity, said at least 42 people were killed in Colombo, where three hotels and a church were hit. There were also reports of casualties in a blast at a church north of the capital and the toll was expected to rise. The nature of the blasts was not immediately clear and there were no immediate claims of responsibility. Dozens of people injured in the St Anthony's blast flooded into the Colombo National Hospital by mid-morning, an official told AFP. An official at the Batticaloa hospital told AFP more than 300 people had been admitted with injuries following the blast there. Debris is seen at St Anthony's church after explosions hit churches and hotels in Colombo, Sri Lanka, on Sunday, in this still image obtained from video. Earlier, a police official, speaking on condition of anonymity, said at least 42 people were killed in Colombo, where three hotels and a church were hit. 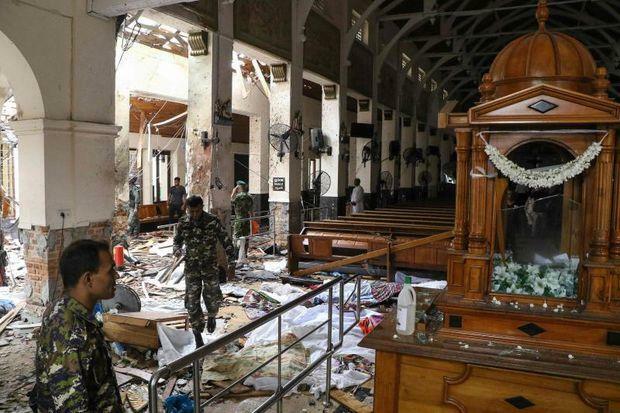 The first explosions were reported at St Anthony's Shrine, a church in Colombo and St Sebastian's Church in the town of Negombo just outside the capital. Dozens of people injured in the St Anthony's blast flooded into the Colombo National Hospital by mid-morning, an official told AFP. He said he had been to two of the attacked hotels and was at the scene at St Anthony's Shrine and described "horrible scenes."